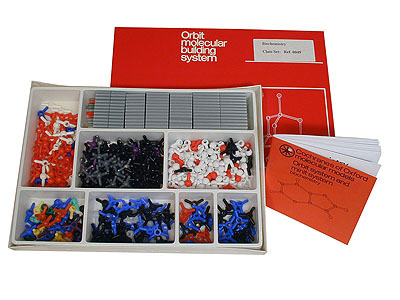 Compartmentalised box and a greater quantity of atoms for multi-group activities. 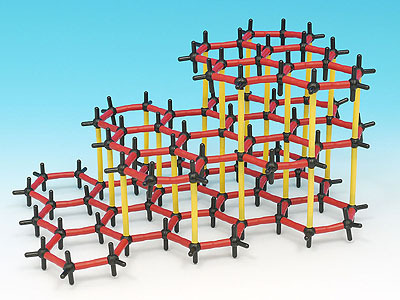 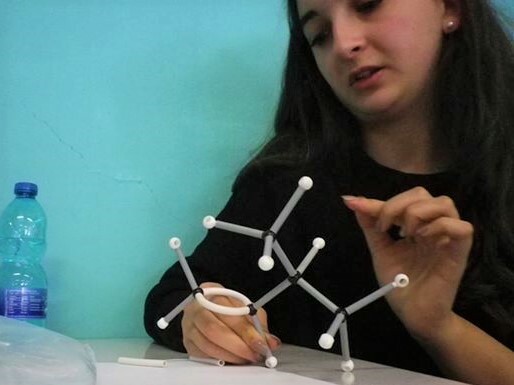 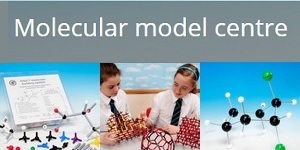 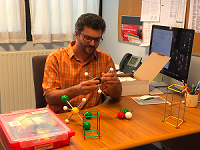 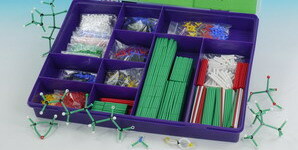 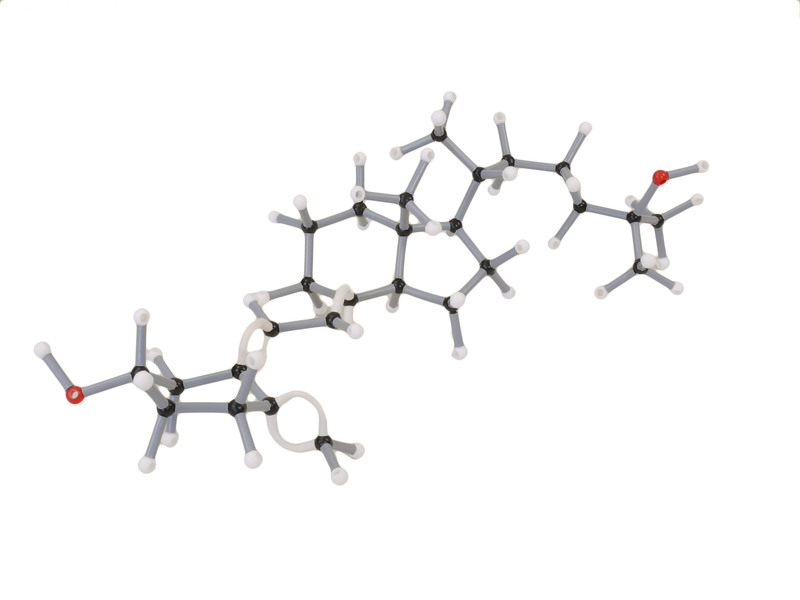 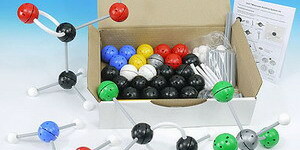 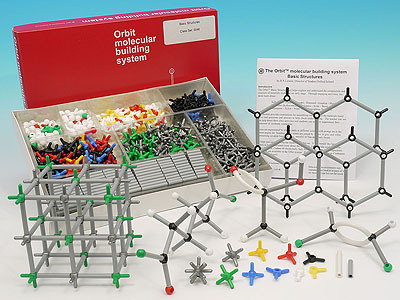 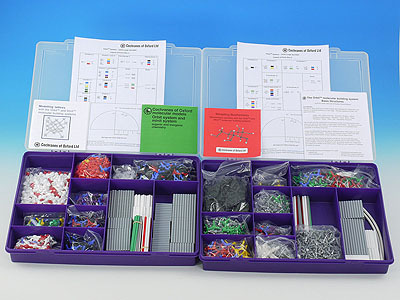 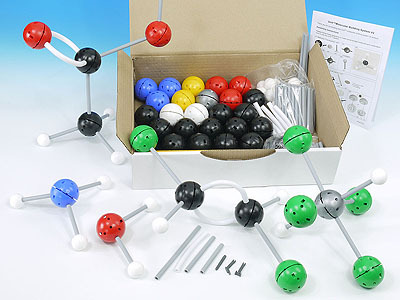 The booklet covers structural chemistry typically studied at GCSE level (ages 15-16). 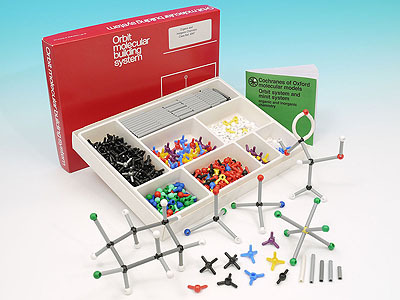 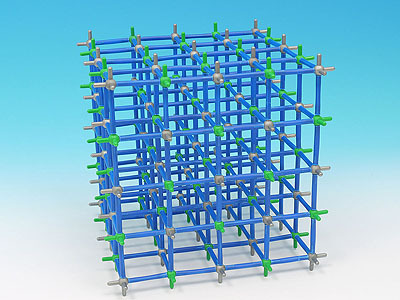 Topics cover the structures of organic molecules, inorganic materials, crystals and metals including the structures of sulfur, sodium chloride, diamond, graphite, 12 coordinate metals, petroleum products, polymers, acids and bases, soap and detergents, nylon, water and ice. 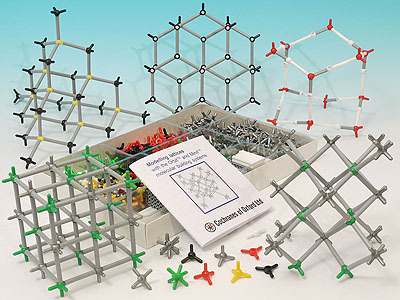 515 atoms, 420 bonds, 24 page booklet covering the above structures.